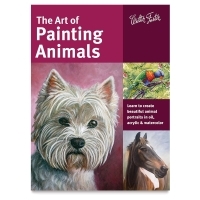 From domestic companions such as dogs and cats to creatures of the wild such as birds and deer, The Art of Painting Animals shows you how to render your favorite animals in a variety of painting mediums including oil, acrylic, and watercolor. In these pages, six talented artists reveal their professional secrets for painting the features that are unique to our furry and feathered friends — from wet noses and expressive eyes to thick fur and delicate whiskers. Each medium has its own section that begins with an introduction to tools and materials, followed by a quick guide to basic techniques. 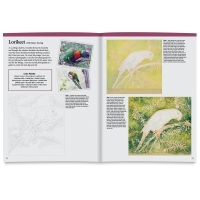 From there, the book dives into a series of easy-to-follow, step-by-step painting projects. 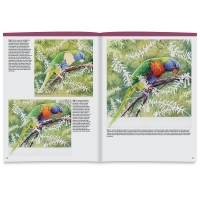 As readers progress from project to project, they discover a range of helpful tips for establishing compelling compositions, achieving accurate proportions, and developing expressive animal faces and emotions. With its breadth of content and engaging instruction, The Art of Painting Animals is a must-have resource for any animal-loving artist's collection. Authors — Maury Aaseng, Lorraine Gray, Jason Morgan, Deb Watson, Toni Watts, and Kate Tugwell.